Ready for something a little more challenging? 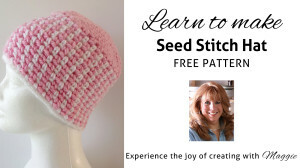 You’ve already learned the basic seed stitch, and also how to change colors two different ways. Now let’s add a circle to the mix for a fun and fashionable hat. 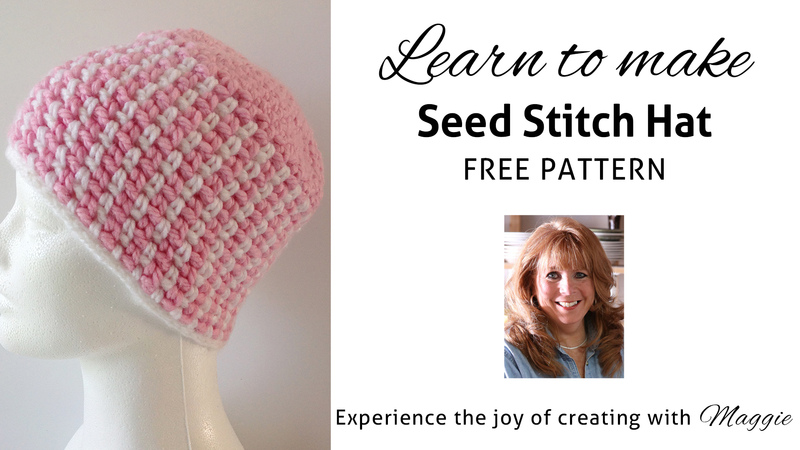 If you’ve never worked with a circle before or worked in a continuous round, then this Seed Stitch Hat Free Crochet Pattern will get you going in circles! 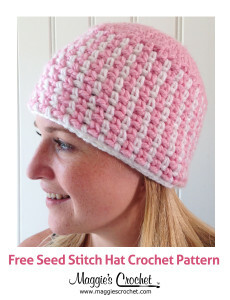 This is a one-size-fits-most hat that gets its textured appearance from the seed stitch pattern. 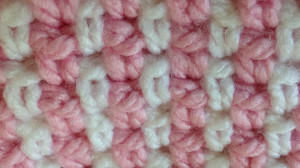 Serenity Chunky is the yarn we’ve chosen for this project. 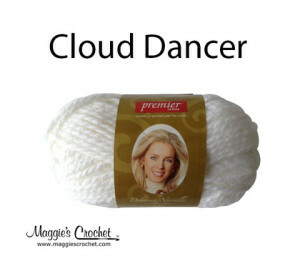 It’s super soft, and because it’s a bulky weight yarn, you will have your hat finished and on your head in no time at all. 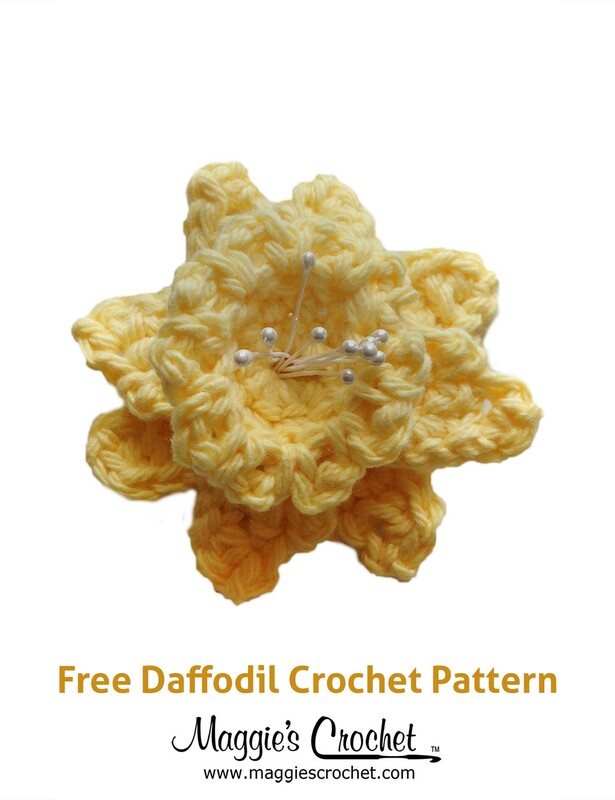 You will also need a size I/9 crochet hook for this project. 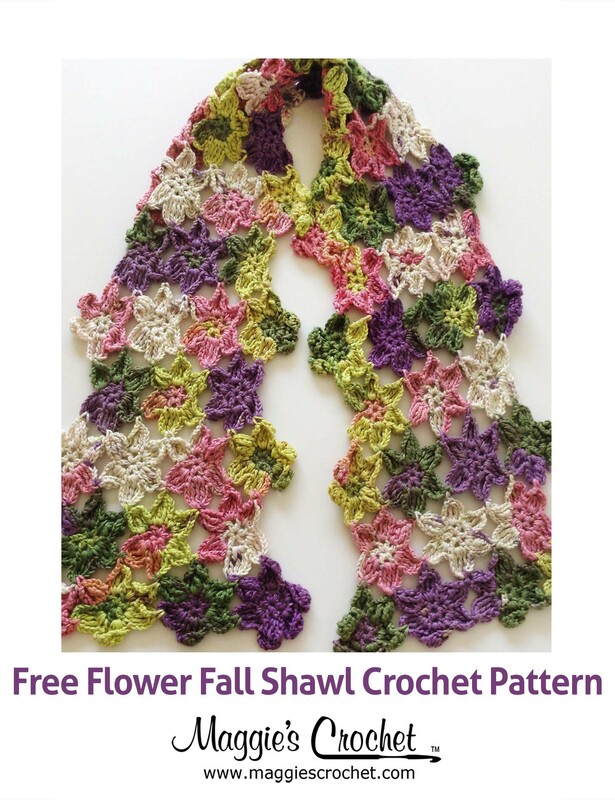 Maggie is excited to offer five new free crochet seed stitch patterns: Seed Stitch Repeat Crochet Pattern, Rapid Blue Dishcloth, Seed Stitch Belt, Seed Stitch Hat, and Antique Elegance Afghan. 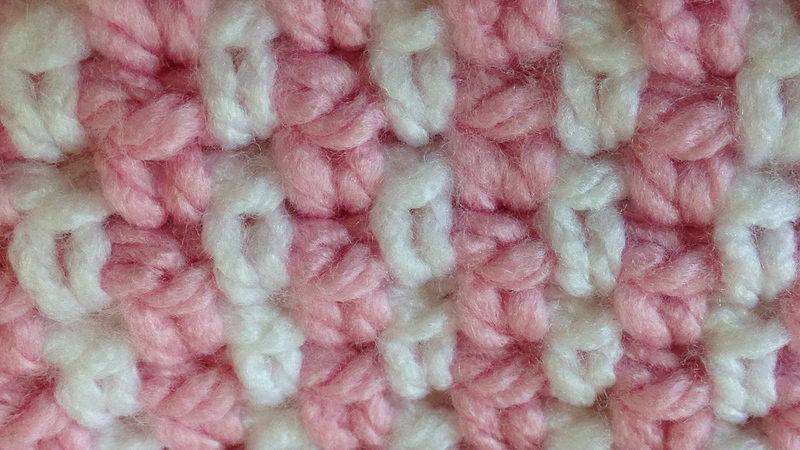 We hope you enjoy these free crochet seed stitch patterns.